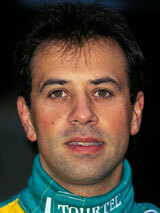 Jean-Denis Deletraz raced in just three grand prix for very uncompetitive teams. He made his debut with Larousse, and despite qualifying well, he was lapped ten times before he finally retired on lap 56. His only other chances came with Pacific, but again the car let him down and he spent both races at the back of the field. He went on to forge a successful career in sports car racing, winning in his class twice at Le Mans.